Of course, I’m happy no matter where someone buys my book. But personally, my favorite places would be a local bookstore—whether that be a comic shop, an independent, or your closest Barnes and Noble. Many comic book fans are accustomed to buying books directly from artists and writers at conventions, with the good intention of putting money directly in the pocket of the creative team (not to mention getting autographs and sketches at the same time). This may be financially desirable to many self-publishers, but is actually a bit counter-productive for authors like myself, whose work is put out by larger publishing houses like First Second, Random House, Scholastic, Penguin, Clarion, and so on. These publishers have long-standing relationships with various distributors and booksellers, and judge the success of a book by how well it “tracks,” via sales submitted by retailers to data services like Bookscan (run by the same organization that monitors TV Nielsen ratings) or the New York Times Bestseller list (which is like the Box Office sales chart for biggest hits). And much like Hollywood studios or network executives, book publishers pay a lot of attention to how many books move in the first few weeks and what the rate of sale is like over time. They sadly do not track “intentions to buy eventually,” or any sales sold at comic conventions, unless the creators are specifically selling their books via a retailer exhibiting at the convention(which is actually an awesome thing I’ve been trying to do more of). The reason why book sales at conventions don’t “track” is because if an author like myself buys books directly from my publisher, these are considered “special sales” rather than retail sales. 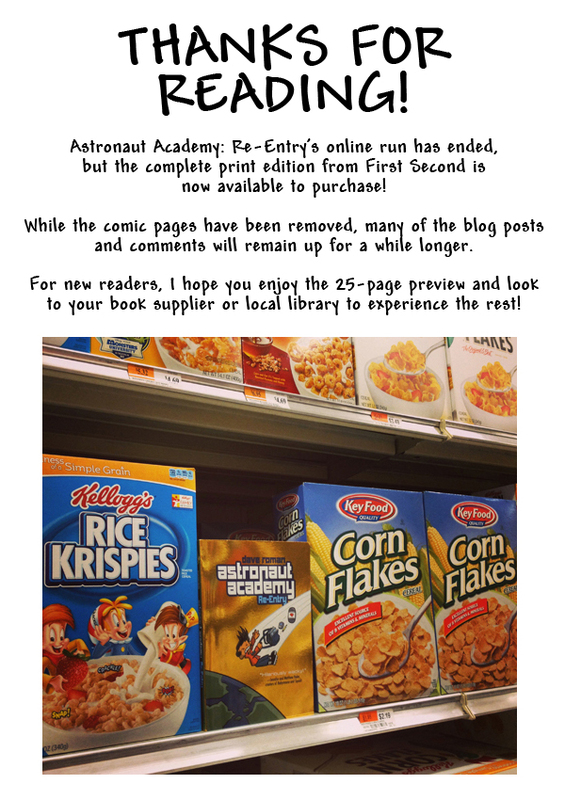 So in theory, I could sell thousands of copies of Astronaut Academy at conventions, but in the eyes of the book industry, would still be perceived as a sales flop. And “trackable sales” are vital to whether or not authors eventually earn royalties! We usually get paid an advance at the beginning of the publishing process, but until that advance is earned back in sales, we don’t see a penny in profits. Some independent-minded authors argue it’s better to cut out the middlemen anyway, so their profit margins are higher. 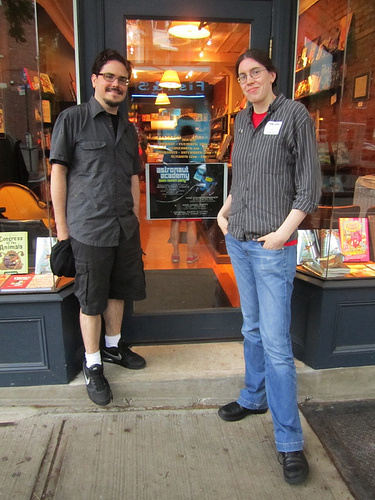 They contend that no one can do a better job of selling their own books than themselves. But you really have to have a mind for business, and be willing to dedicate possibly more time to the promotion, distribution, and behind-the-scenes work than the art itself. For some, that kind of freedom can be exciting; for others, like myself, it’s overwhelming and potentially limiting in the long run. I much prefer the mutually beneficial relationship of authors, publishers and retailers working together in ways that not only help the parties involved, but the book-loving community in general. 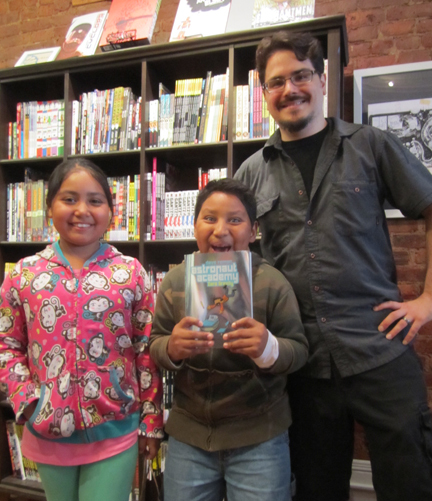 When you buy a book from a bookstore you’re directly helping the author, the bookstore, and the publisher. You’re also helping make the world a better place. 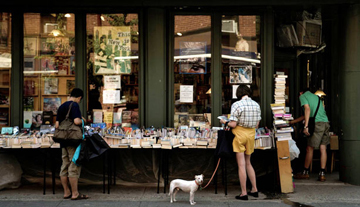 The more each bookstore sells, the more likely they will be able to pay their rent and stay in the neighborhood. 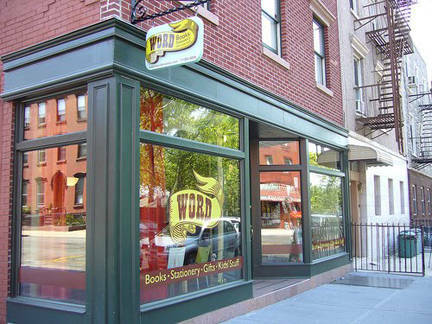 And a neighborhood with a bookstore is obviously cooler than one without! 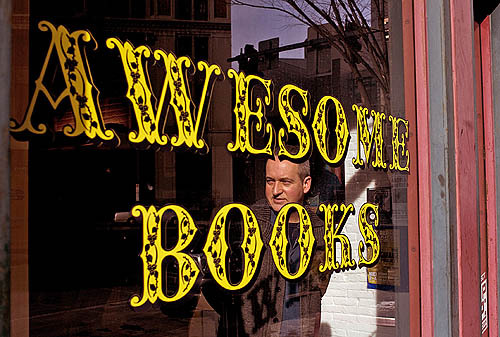 Even in today’s digital age, bookstores provide a value beyond what is possible online. Whether it’s passionate employees making recommendations, organizing book clubs, or bringing in authors for live readings. And of course book release parties and signings where you can get your books autographed and make the author feel cool for having so many people show up. One of my favorite ways of buying books through local bookstores, but taking advantage of the convenience of online shopping, is IndieBound.org—a site that helps you order a book by purchasing it through the independent bookstore closest to you. You can still have it show up in the mail, it’s just coming from a small shop instead of a large factory! And if you don’t think there’s a comic shop nearby you can check out ther Comic Shop Locator service and perhaps there’s one near a relative!